I am eternally grateful for our English translations. On the 500th anniversary of the 95 Theses, we remember how the Reformational belief in the priesthood of all believers drove men like John Wycliffe, William Tyndale, and Martin Luther to translate the Bible into the language of common Christians. That being said, I am still occasionally puzzled at the way proper names and places have been transliterated in our Bibles. Transliteration is when a translator writes out a Hebrew or Greek word phonetically in English. What puzzles me is when translators use different transliterations for the exact same name or place (e.g., this article I wrote a couple of years ago still gets hits daily: “Judah and Judas Are the Same Name“). 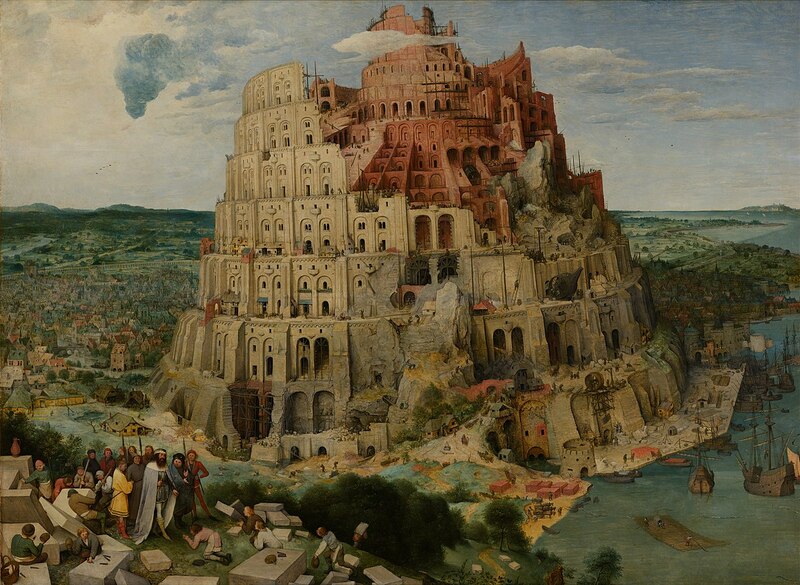 Today we look at one of those bizarre occurrences: Babel and Babylon. If you were to read these two names in your Bible, I wouldn’t blame you for assuming they are different places. But they’re not. Babel and Babylon are the same city. In fact, Babel is a transliteration of the Hebrew word בָּבֶל (“Ba-bel”), while Babylon comes from the Greek Βαβυλῶνος (“Babylonos”). In all 233 occurrences of Babel in the Old Testament, it is translated Babylon in Greek. What is more, both the ancient Babel in Genesis 10-11 and the more recent Babylon of Daniel’s day are said to be located in the plains of Shinar (Gen. 10:10; 11:2; Daniel 1:2). First, we realize the exile to Babylon is actually a return to Babel. In Genesis 10, we are told that the first mighty king’s name was Nimrod, and he began his kingdom in Babel. The next chapter recounts how all of the kingdoms and peoples of the world were dispersed from the Tower of Babel erected in his city. As all of the 70 nations are scattered, Genesis 12 describes how the Lord selected out one man from among them to establish his covenant: Abraham. God promised Abraham sons and daughters as numerous as the stars, a beautiful land, and a blessing to all nations through his offspring (Genesis 12:1-7; 15:5-6; 17:4-8). After 400 years of slavery in Egypt, God brought Abraham’s offspring out of Egypt to the promised land. But they sinned. A lot. The Lord returns his people to the fount of the nations–to Babel–not because he has failed to keep his promise to Abraham, but in order that he might keep his promise through the true offspring: Jesus Christ. Second, we recognize the bookends of Scripture. Babel, the kingdom of earth, is hell-bent on de-throning the God of the universe. It is a kingdom of pride, self-sufficiency, and defiance to the Creator. You see, the Bible begins and ends with the toppling of this wicked city. Every man toiling away in the city of Babel trying to loft himself into the heavens in defiance of the Lord will be scattered (Genesis 11:8). Every proud Nebuchadnezzar will be humiliated like a beast of the field (Daniel 4:31-33). Every kingdom that breeds immorality and feasts on the saints of God will be eternally destroyed (Revelation 18:2). On that day when Babel the birthplace of the kingdom of earth is overthrow, and Babylon the city of defiant immorality and evil, then shall come to pass the saying, “The kingdom of the world has become the kingdom of our Lord and of his Christ, and he shall reign forever and ever” (Revelation 11:15).